The Montreal Canadiens will have a captain this season, but in saying so Thursday coach Michel Therrien did not reveal who it would be. The Canadiens used four alternate captains last season: defensemen Andrei Markov and P.K. Subban, and forwards Max Pacioretty and Tomas Plekanec. 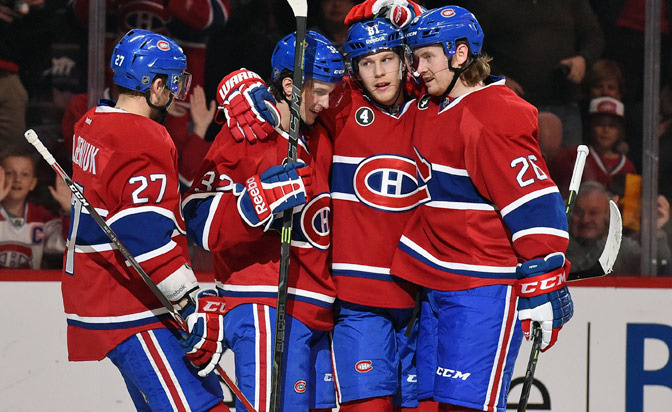 "I thought those guys last year did a fantastic job, they had good communication," Therrien told the Canadiens website. "I thought it went really well. But we believe this is the time for the organization to name a captain." The Canadiens would not say if one of those four players will be named captain or if there might be another candidate. Markov: "It's good for the team. It's good for everybody. … Good for the fans and it's an important decision and is going to probably come from the management, so we'll see what's going to happen." Subban: "Whoever gets selected is going to have a bit of a responsibility, a little bit more than everybody else anyway. But we share that as a team. We share that responsibility as leaders to make sure that we're best preparing each other to play at a high level and to be where we want to be at the end of the year." Pacioretty: "Last year prepared me a lot for this. I think if you have the 'C' on your sweater or not, you're expected to lead this team, and we expect everyone to lead the team, but like I said, I would be honored if that opportunity came." Plekanec: "Whatever management decides is fine with me. … we are all comfortable with it." Brian Gionta was the last Canadiens captain, during the 2013-14 season. The next captain will be named before the end of training camp. "We said last year was a transition year regarding leadership," Therrien said. "We felt by the end of the year, when we all met, that we were ready to name a captain; this is something we want to do before the season."